Home → Uncategorised → People First Turns 25! 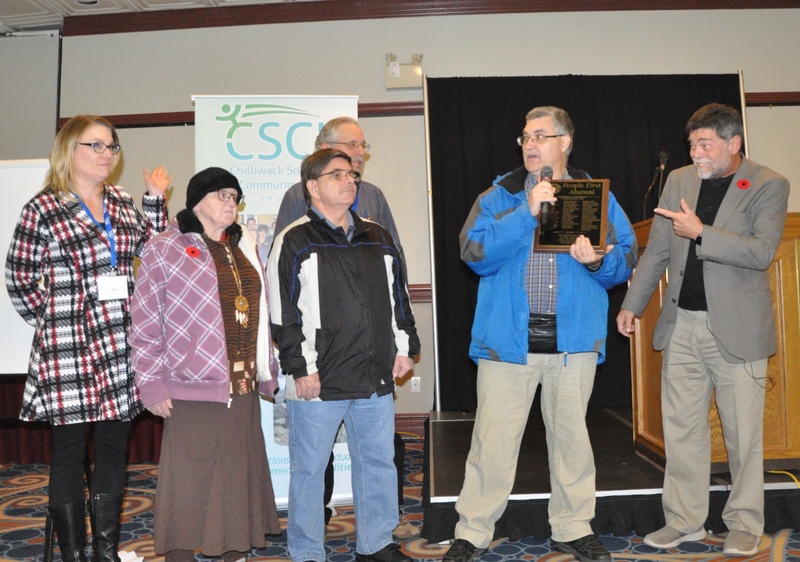 Congratulations to the People First – Chilliwack Chapter group for celebrating their 25th Anniversary this year. The People First movement is all about rights – human rights, citizenship rights, accommodations rights and language rights. The right to freedom, choice and equality for all. For the past 25 years a group of local Chilliwack residents have been meeting every month to discuss the issues that are most important to them. Kim Hamilton (Advisor), Irene Farlin, Gary Meyer, Rob Battis (Advisor), Gerald Oesch and Dr. Al Condeluci who presented some of the group with a 25th Anniversary plaque.